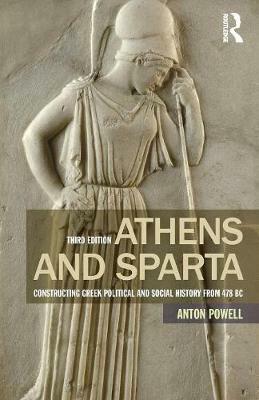 Athens and Sparta is an essential textbook for the study of Greek history. Providing a comprehensive account of the two key Greek powers in the years after 478 BC, it charts the rise of Athens from city-state to empire after the devastation of the Persian Wars, and the increasing tensions with their rivals, Sparta, culminating in the Peloponnesian Wars. As well as the political history of the period, it also offers an insight into the radically different political systems of these two superpowers, and explores aspects of social history such as Athenian democracy, life in Sparta, and the lives of Athenian women. More than this though, it encourages students to develop their critical skills, guiding them in how to think about history, demonstrating in a lucid way the techniques used in interpreting the ancient sources. In this new third edition, Anton Powell includes discussion of the latest scholarship on this crucial period in Greek history. Its bibliography has been renewed, and for the first time it includes numerous photographs of Greek sites and archaeological objects discussed in the text. Written in an accessible style and covering the key events of the period Ã¢Â€Â“ the rise to power of Athens, the unusual Spartan state, and their rivalry and eventual clash in all out war Ã¢Â€Â“ this is an invaluable tool for students of the history of Greece in the fifth century BC.